"Thanks for a very enlightening bootcamp in Orlando, Florida. I certainly learned a lot and look forward to putting at least some of into effect with my own systems. I also now realize that I need to spend more time with ibeblock so as to be more productive." "The Bootcamp was a valuable learning experience for my staff and I. 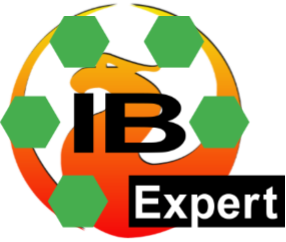 We have been using Firebird and IBExpert for many years, but the presenter was extremely knowledgeable and was able to offer a fresh perspective to several issues we have. Overall, it was two days and $$ well spent." Rick Long, Spectrum Software, Inc.
"I found the IBExpert Bootcamp in Orlando to be quite elucidating, our company has been using Firebird for years and I learned that we are not using Firebird to its full potential. We have been hesitant to move from Firebird 2.5 to 3, but the techniques I was able to observe at the class convinced me to move ahead with beginning the upgrade process with the assistance of IBExpert Developer Studio. I also learned methods that will greatly enhance our ability to support our clients across the globe. Thanks for the great experience!" "I found the 2-day IBExpert Bootcamp to be very helpful and informative. The built-in IBExpert benchmark tool will be very useful in evaluating our client’s hardware ability to efficiently host a Firebird database. The information presented during the Bootcamp will also help us during our transition from Firebird 1.5/2.5 to Firebird 3.0. Holger and Christian are very knowledgeable in Firebird techniques and optimization strategies and I would highly recommend their services." "The Firebird Admin Bootcamp was very informative, being able to sit down to better understand the behind-the-scenes of Firebird and IBExpert is well worth the investment. I can now better utilize the software and tools to help with managing and providing recommendations to our clients." Interested? Please mail sales@ibexpert.biz and we will send you our written offer. Should you prefer a different selection of topics, that is not a problem: Just ask us - Anything that is possible, we are happy to do! Request our written quotation: sales@ibexpert.biz.